A go-to for classic separates with fun twists, British high-end label Paul Smith was founded in 1970 as a menswear label sold in a multi-brand boutique. 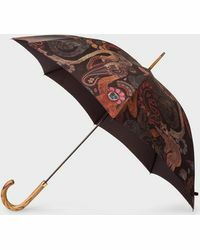 Expanding over the years into an all-encompassing lifestyle brand, the label is now famous for quintessentially British patterns featuring flora, fauna and automobiles, premium European fabrics and precise tailoring. 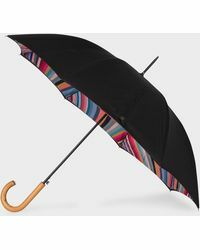 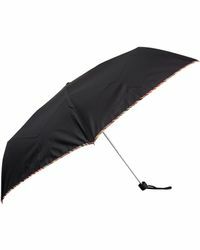 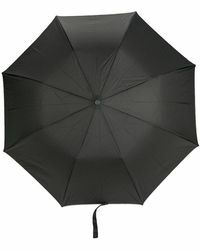 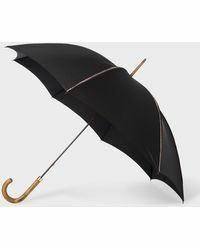 Sleek and stylish with cute patterns and traditional wooden handles, Paul Smith umbrellas are a wet weather essential. 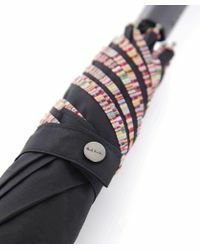 The epitome of London cool, these sophisticated accessories are fashionable and functional.